For this build and most machines outside of the top end enthusiast realm we opted to go with 8GB of DDR4 memory. The parametric filter finds the best price on 8GB kits of memory that are within AMD’s recommended specifications. We've limited it to DDR4-2800 and DDR4-3000 as Ryzen CPUs scale well with higher frequency memory. At the current time, using memory rated over 3000mhz is not advised without doing extra research as DIMM support can be hit or miss. AMD is working on releasing additional BIOS updates to add better compatibility for higher frequency memory. Our storage choice is also based on parametric selection criteria – 2TB and 7200rpm are our standard recommendations for builds that incorporate a mechanical drive. With our increased budget we can also include a solid state drive selected by parametric filters. You should be able to purchase at least a 240GB drive on this budget. On an 800 dollar budget, the Radeon RX580 8GB is a fantastic choice. This GPU has excellent performance for the price making this model one of the best graphics card choices on the market. At 1080p the Radeon RX580 8GB provides a consistent 60fps even on demanding games like Battlefield One using Ultra/High settings. All of the components are housed in the Corsair Spec-M2 MicroATX mid Tower. 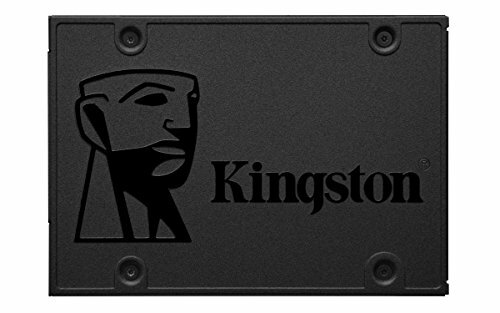 This case is an affordable option that has front panel USB3.0, room for full size graphics cards, and cutouts in the motherboard tray for easy cable routing. For our power supply, we're using a parametric selection of well-reviewed fully and semi-modular units, all of which will provide more than enough power for this system. Could you elaborate on "modest" overclocks? Or does it really come down to silicon lottery? Would this run ARK: survival evolved and Space engineers? Yes. If it can put out 60+ fps on Battlefield in ultra, it will run both ARK and space engineers on ultra easily. 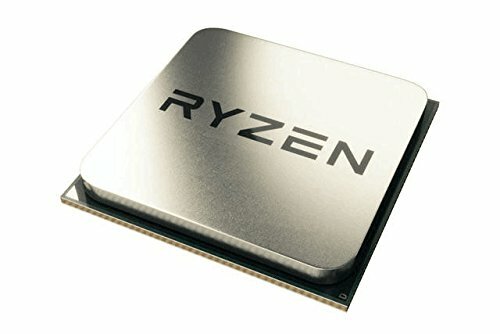 What's the advantage of the r5 1600 over the r5 1500x? Doesn't the 1500x have a higher clock speed? 2 more cores and 4 more threads. The RAM isn't much faster, but it will make a difference. If you don't believe me, check out this video: https://www.youtube.com/watch?v=G80uG3acg44 This is also a a 16gb kit. 16gb is a little "overkill" for the modest gamer but more and more games are demanding more memory, and this will, hopefully, make it so the consumer does not have to upgrade the RAM for a while. I also added a different PSU. The PSU is a 500w but that is really all you need for this build. This build is in no way power hungry and a 500w will still allow the user to OC without worrying if they have enough power. Granted this is a non-modular power supply and it's only bronze rated, whereas the seasonic 650w is semi modular and gold rated. I also added a different case. Why? well if you do decide to go with the non-modular power supply I chose, this case will allow you to have more than enough room for cable management. The corsair carbide SPEC-M2 has lot of complaints about the cable management being bad. Another plus that the phanteks p400 has over the corsair carbide case is that it has RGB support out of the box and room for a 360mm radiator. The last thing I changed is the SSD. I opted for a 120gb SSD for the sole purpose of adding more RAM. Yes it is a little low on storage but it will have more than enough space for windows and for a few of the main games you play. Does this build come with a cpu fan cooler? Is a cpu fan cooler necisarry? The stock coolers for Ryzen are actually pretty good. That being said, if you want to push your OC you can absolutely add a cooler. Will this build run games at 1440p like bf1 on med to high settings; for around 60fps. This build seems kinda random. You could save on the case and get a Deepcool SW. You could also save on the PSU and get an 80+ Bronze 600W. This would save you almost 50 bucks which would allow for more ram while not going over the current price displayed. Also, if this is really a modest gaming build then can't you just get a R5 1500x instead of the 1600 and save money and increase the base speed while only dropping 2 cores?